Are there any photos of alan deere’s spitfire ??? I’m afraid I can’t help you much with Al Deere’s Spitfire of that period. To the best of my knowledge, genuine photos of RAF fighters from the time of the Dynamo are, to say the least, extremely scarce. Correction. Have a look at this page. There you can find two photos of AD’s “Kiwi”. Not sure about the dates these shots were taken, though. are there any photos of Sailor Malan`s spitfire? I am not sure if I have asked you before, but i am looking for any photo’s of ML407 before she was converted to a two-seater. That means pre-1980s, when she was converted to TR configuration? Unfortunately, no such luck. 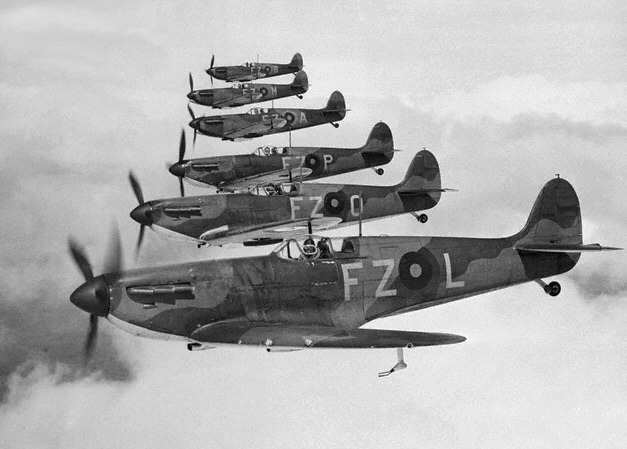 Have you inquired with the Grace Spitfire site, maybe they will be kind to provide something. I saw that Carolyn posted a set of photos from her family album, but they show the a/c directly post-conversion.